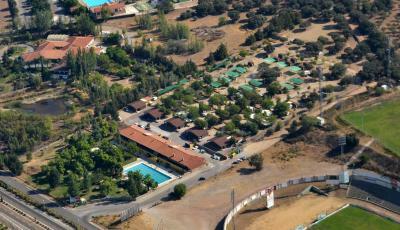 Lock in a great price for Hostal - Bungalows Camping Cáceres – rated 8.5 by recent guests! 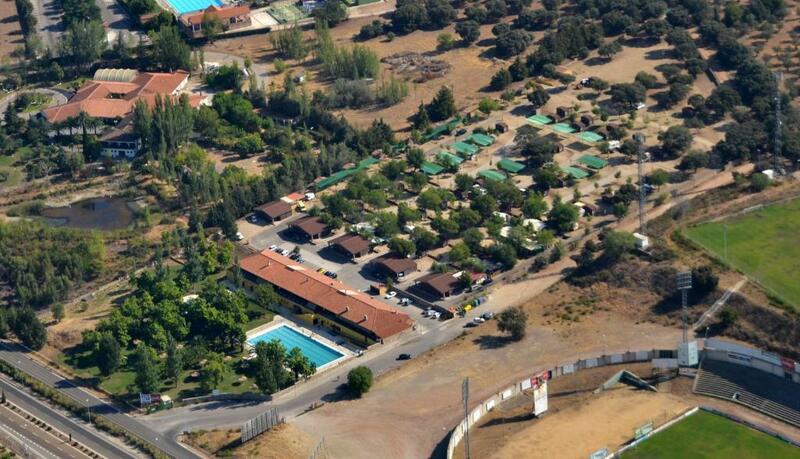 This is a nice RV park near Caceres. The bungalow was great - very clean and comfortable with a full kitchen, dining area, bedroom and TV as well as a small porch. 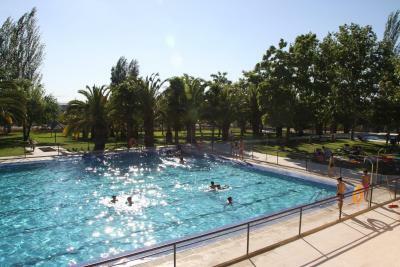 There is not too much within walking distance, but Caceres is just a short drive away. It would be fun in summer when the pool is in use. 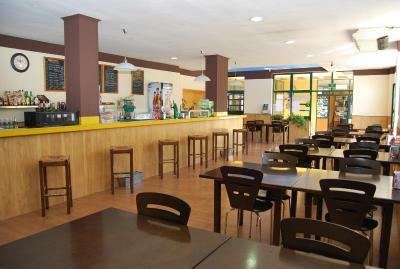 Excellent value for money, brilliant location, food was great, lots of choice. Lovely bungalows with parking right in front, dog friendly, beautiful swimming pool and good dinner at restaurant. -we have a room for 5 peoples , and we love the room we get . -super comfortable environment . Quiet, comfortable, pet friendly. Helpful, efficient English speaking staff. There was a decent playwark, pool and indoor jungle gym / ball pool for our little baby to play on; reception staff were very friendly. Optima relação qualidade/preço. Desde funcionarios a instalações, sendo o único senão a questão de ter hora de entrada de veículos, mas sendo parte de um camping compreende-se perfeitamente. 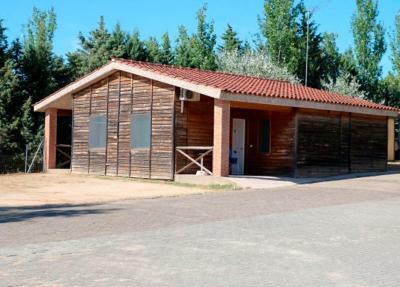 Hostal - Bungalows Camping Cáceres This rating is a reflection of how the property compares to the industry standard when it comes to price, facilities and services available. It's based on a self-evaluation by the property. Use this rating to help choose your stay! 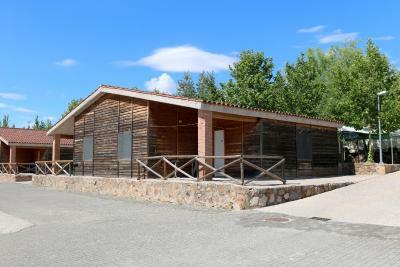 Set in the countryside just a mile outside of Cáceres, this site of wooden chalets provide the ideal setting for a family vacation in rural Extremadura. 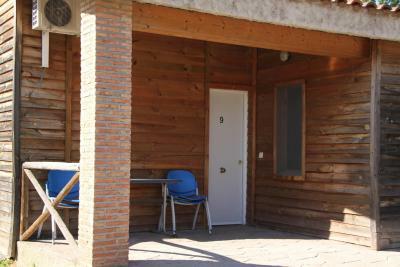 Each of the well-equipped bungalows of the Ciudad de Cáceres comes with modern amenities such as TVs and kitchen units. In this kitchen you can prepare your own meals using products from the on-site mini market. Enjoy the fresh country air with a dip in the property’s outdoor swimming pool. Walk through the ample green space and meet with friends and family in the sociable lounge. More practical facilities include a laundry. Take the short ride into the ancient city of Cáceres, where you can visit the many historic monuments that made the city a UNESCO World Heritage Site. 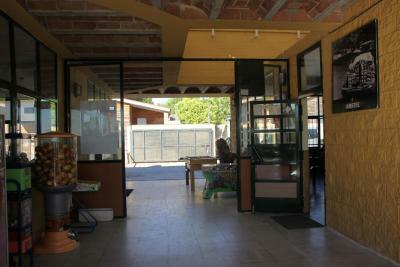 When would you like to stay at Hostal - Bungalows Camping Cáceres? This air-conditioned bungalow comes with 2 double bedrooms and a separate lounge-diner with a TV and free Wi-Fi. There is also a kitchenette and a bathroom. This air-conditioned bungalow comes with one double bedroom and a separate lounge-diner with a TV and free Wi-Fi. There is also a kitchenette and a bathroom. 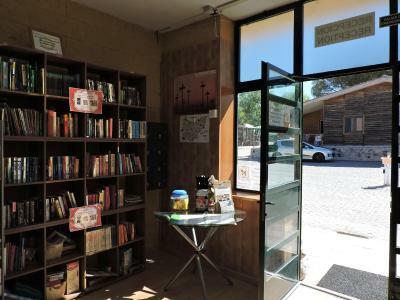 House Rules Hostal - Bungalows Camping Cáceres takes special requests – add in the next step! 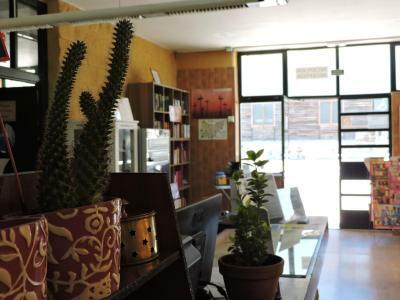 Hostal - Bungalows Camping Cáceres accepts these cards and reserves the right to temporarily hold an amount prior to arrival. The bathroom toilet was not wheelchair accessible, there was not a raised toilet to aid transfer nor were any rails. Impossible to use. The shower had no access for a wheelchair, it was a walk in shower, the only way to shower was by sitting in the wheelchair and holding the shower head over. It was a room for people with impaired mobility not a wheelchair. We made the best of it because we had had a long drive and were tired and could not find anywhere else locally. The room itself felt and smelt unused for some time and had not been refreshed prior to our arrival. A convenient stopover, with safe parking. Flooding main entrance door, no English speaking channels on tv. Staff disengaged. It was an overnight in transit. Cold, no heating,no kettle, TV remote not working. Noise from next bungalow. Poor value. The campsite shop was very rudimentary; our bungalow was right on the car park; staff in the cafe unfriendly and unwelcoming. The people of the hotel were not very welcoming.